Jalebis, our most popular product, are small, bright yellow, web-shaped cakes similar to funnel cakes. They are made with maida flour by soaking in a saffron enriched sugar syrup and then drying to give them a crispy outer shell. 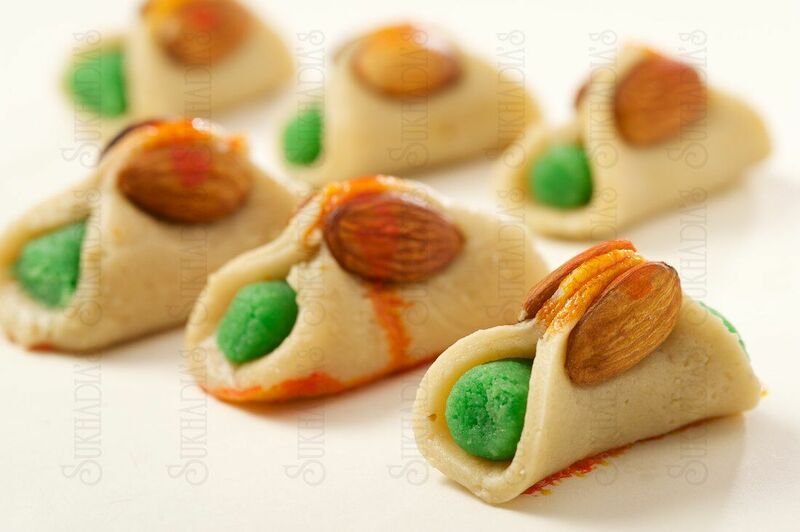 They are served warm, garnished with almonds and pistachio.